I Am Canadian. However, I have been in the USA for the last 22 years. I return every summer for 3 weeks and when able, I come home for a cozy, snowy Christmas. My love is family and Georgian Bay. 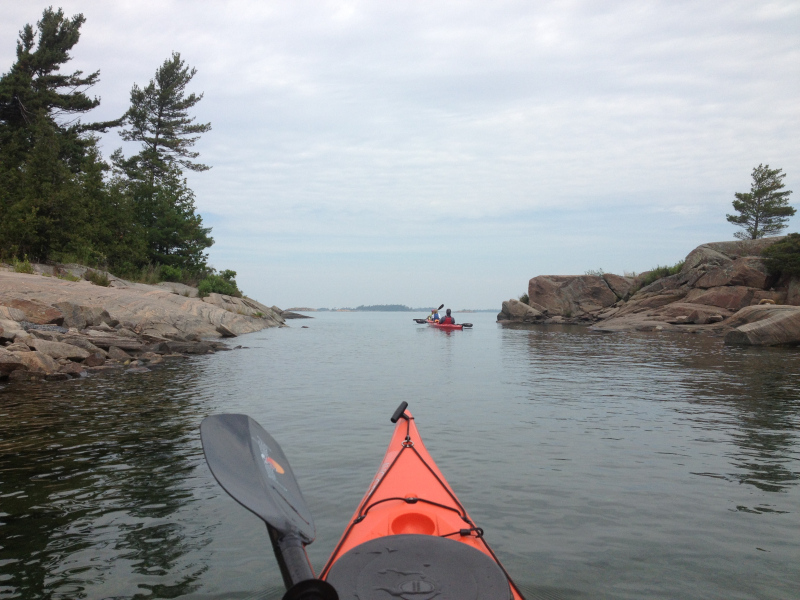 This photo is of "us" kayaking on Georgian Bay to one of the many pristine islands tucked away in the 30,000 Island Archipelago. Sun, fresh, aquamarine water and smooth colourful rock formations. Paradise. My return is inevitable.